You fear talking to your students in a condescending way; whereas, you are merely trying to teach them. You don’t know what they already understand and are concerned you might be talking beneath them. Then, you aren’t sure if you should drip out your course to motivate your students to move forward, or open the entire course and allow them access to all the content. To add, you aren’t sure of the level of language to use, including how friendly it should be, like using the word “dude.” You don’t want to be too formal and stiff, but at the same time worry about being too hip and casual in your wording. Last, you very much want your students to feel valued, understood, and welcomed into your course as well as taken care of as the course unfolds. 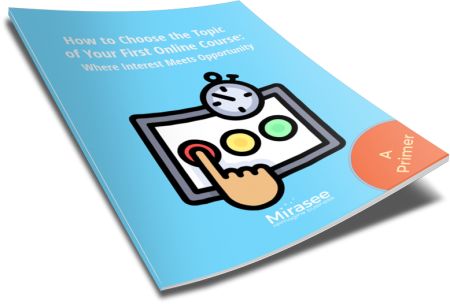 Considering the influx of online consumerism and increase in demands by customers, delivering a course online can be tricky. This is more so when dealing with adults who are eager to learn. Malcolm Knowles, a highly regarded educational researcher, has found that adults need to be taught and treated in certain ways. Once you understand the fundamentals of his theory, it will make sense as you have known this all along, because you’re an adult and want the same. When creating courses, we need to consider the full experience of adult learners, not just the promise we made in the marketing copy. It’s easy to say what you hope students will achieve in your course, but it’s your responsibility to offer the setting to achieve those results. Otherwise, under-delivered or poorly-developed courses will fall flat with adult learners. In this article, I pair 6 strategies on delivering online courses with a learning theory on how adults learn best. This theory was developed by the educational researcher, Malcolm Knowles and has guided the adult education field for many years. Self-concept: As adults mature, they need to drive their own learning, yet have just-in-time learning. Experience: Adults want to have their life experience, knowledge, and skills acknowledged and woven throughout the learning. Readiness to learn: Adults will engage readily with learning that’s highly applicable to their life, so ensure to make it relevant and usable. Orientation to learning: Adults want the immediate application to enhance their life or solve problems, which begs for quality exercises. Motivation to learn: While children strive for extrinsic motivation, such as grades or prizes, adults are more inspired by self-achievement, curiosity, and increased self-esteem. Support these. Relevance: Adults need to know constantly why they’re learning something, implying they also need to help choose what is taught. Each of these principles of learning is further explained with concrete examples on how to address them in an e-course design that caters to a mature, curious, and evolving adult audience. As adults mature, they need to drive their own learning, yet have just-in-time learning. Remember being an awkward teenager or a frustrated child attempting to do something you wanted but weren’t able to? These feelings soon disappear as we mature into adulthood and develop full control of our lives. Well, almost… we might have to work or raise a family, where we are less in control. But if we take an online course, we’re doing so with full acknowledgment that we made the decision, have expectations to achieve something, and are responsible for what we do with it. To address their independence, a course needs to have the flexibility to allow adults to come and go and build their knowledge as they see fit, and the facilitator (or course creator) needs to chill out on their expectations of students. For instance, you might be exasperated that half your students aren’t engaging in the online discussion forum or they haven’t completed the tasks. Adult learners have a sense of self and know what they need, not you. As a course creator, you can provide a “menu” of content, resources, and experiences for them. But they ultimately make their own choices. ADULT LEARNER TIP #1: Let them choose. Of 100% of your student population, expect 30% to disappear for some reason, another 30% will lurk (they’re still learning), and the remaining 40% will engage and be active. Embrace that. Provide a variety of content formats (i.e. written instructions, stories in audio, illustrated concepts, and video demonstrations with transcripts) so that adult learners can pick their preferred mode of learning. Chunk and label nuggets of learning into a menu that learners can easily find and consume. In the image above, notice the various ways content is delivered considering the purpose of the lesson. This workout lesson has a video that is an exercise to be followed. Goals are provided on completing the exercise, and a worksheet is offered to record goals and results. Lastly, there’s an opportunity to sign up to a messaging system that sends emails to students to help with their goal achievement. Adults want their life experience, knowledge, and skills acknowledged and woven throughout the learning. Adults come with years of living on earth and having many experiences. Their prior experience and knowledge need to be the jumping off point for your lessons and content. Imagine taking a course and made to listen to the introduction that’s lengthy with basic knowledge you already know. That would be frustrating considering you bought the course to learn something new. You’re waiting to expand your next level of knowledge—not get a regurgitation of what you already know and assume. To add, exercises need to be tailored so that the unique perspective, knowledge, and skills of learners can be expressed and shared through it—not locked down into prescribed notions. For instance, say you have an assignment that asks students to create a quarterly sales forecast. You provide a pre-designed spreadsheet that has locked down cells so the learner cannot change the words and categories or add new ones. This will hinder their learning. Open up a little bit and let learners drive their own learning. You’ll be pleasantly surprised what they come up with. ADULT LEARNER TIP #2: Give them freedom. When you create your course and content, envision an adult sitting in front of you. Teach them where they’re at in their developmental process. Consider their current skills, knowledge, and experience. Compose assignments that have a good basic structure but that learners can expound upon to make it more personal and relevant. Rather, give an amendable worksheet and an example for them to follow. And then step back. 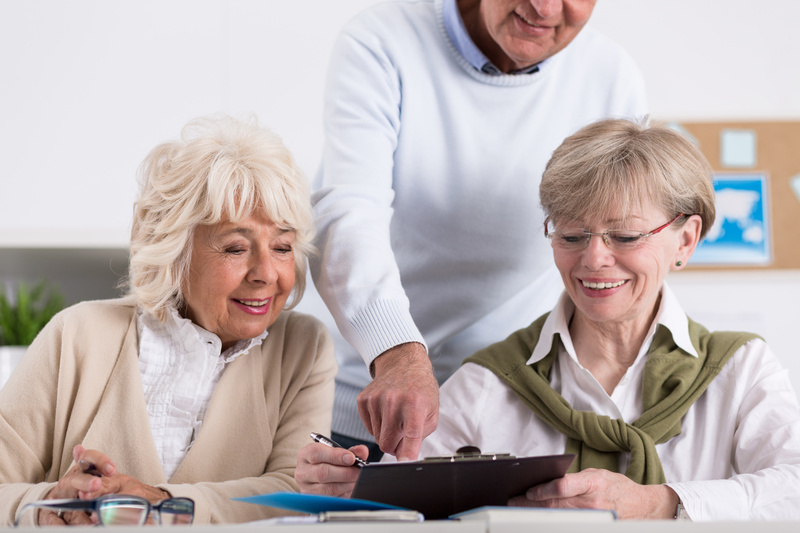 Encourage adult learners to share their work in any format they choose, whether a video via a phone camera, an expressive painting, a mind map, and others. 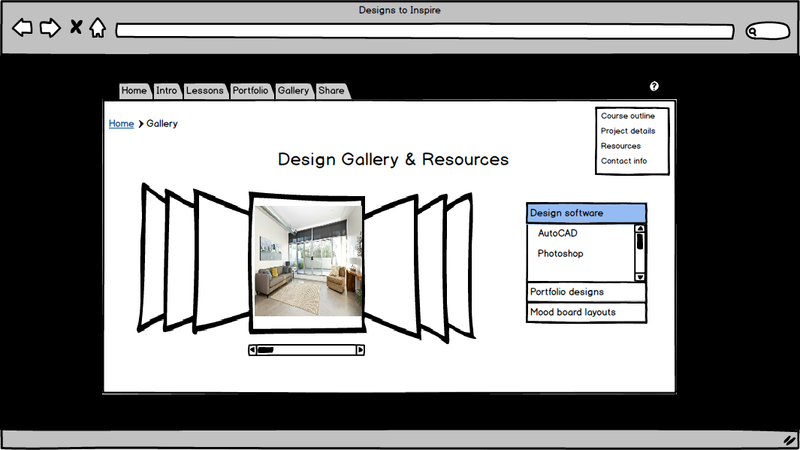 In the image above, a course provides different ways students can create and share their work. 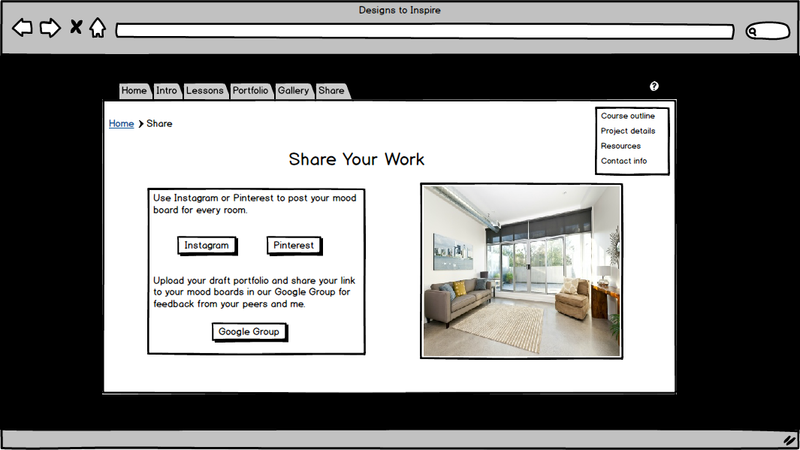 Students can choose from either Instagram or Pinterest to load their room designs using mood boards. Google Groups is also used as a discussion board to share their links to Instagram or Pinterest to showcase their mood boards. Adults will engage readily with learning that is highly applicable to their life, so ensure to make it usable. How many seconds does it take you to leave a blog post that rambles on and on so that you’re not sure what it’s about (even given the snappy title), and it’s not getting to the point? I’m not suggesting course content needs to be so clipped it’s sparse, but it needs to be organized into usable chunks so that learners can move around it to find the information they need. With that said, it’s still important to have opening statements or introductions about the topic, subtopics, relevant examples, illustrations of processes, and summaries. True chunking is separating these pieces into individual and well-labeled course pages or downloadable resources. Next, ensure your lessons are applicable in today’s world. You know your stuff as an expert and want to ensure you’re current and relevant as it seems so much is changing in life. I argue that there are fundamental principles that need to be retained and taught, but how they’re applied has shifted—sometimes for the better and sometimes not. Regardless, we need to make our lessons that teach knowledge, skills or shifting perspectives modern and applicable. Regardless, we need to make our lessons teach knowledge, skills, or perspectives that are modern and applicable. ADULT LEARNER TIP #3: Be hip. Whatever topic you are teaching, wrap it up in modernism to provide betterment for your students’ personal and work life. Get creative. 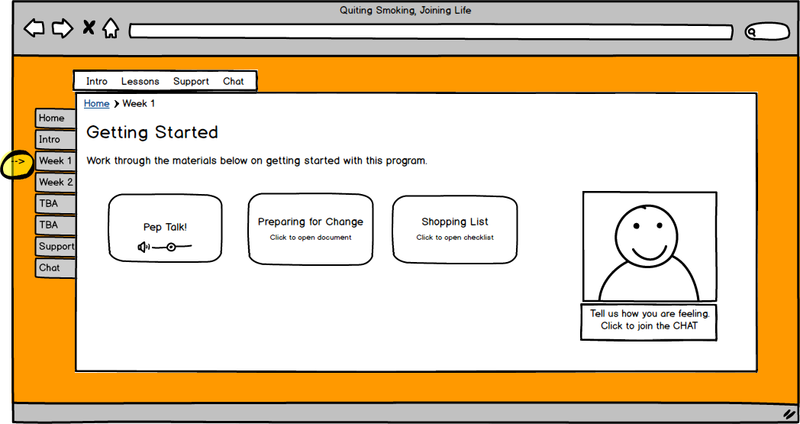 See your course as a shopping mall map with very visual and clear sections of chunked lessons. Take time to learn about new methods, thinking, and technologies to make your course more modern. With the evolution of many free or affordable technology tools, we can present content in a variety of interesting ways. In the image above, a gallery of pictures is presented in a photo carousel that allows students to easily move back and forth through them for visual stimulation. Adults want the immediate application to enhance their life or solve problems, which begs for quality exercises. It’s difficult to address the context of every student within your lessons. I’ve had students so varied in their work, industry, location, and culture that it would be impossible to teach to the diversities. However, you can provide lessons and exercises that draw upon fundamental ideas with a variety of examples so students can see how it might apply to them and how they can use this information in their own situation. As an example, say you have 3 exercises over 2 modules. Use a different context for each example on how to complete the exercises. Modeling through examples is a powerful way to learn and a great form of feedback to compare their work. 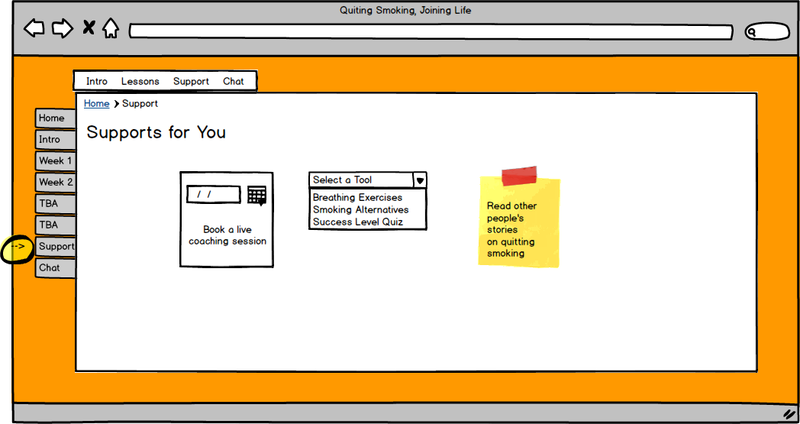 It also keeps you honest about how applicable your lessons and exercises are. Lastly, most adults pursue education to improve something in their life or work, which is actually a problem wrapped up in a desire. They’re looking to learn to make good decisions and changes in their life, not casually read up on your topic. Help them to solve these problems. ADULT LEARNER TIP #4: Address diversity. Provide enough flexibility in your exercises and lessons to allow students to apply them to their situation. Make a note of all the students you’ve had or clients if you are just starting to teach. Recount their backgrounds and work priorities. Draw on these to create diverse examples. Start each example with an ill-defined problem (one that isn’t so easy to solve) and use that to show how your exercises, resources, or strategies can be applied to solve it. You can easily personalize courses by gathering and addressing personal information. I recommended using a quiz to present a final “result” based on the quiz responses. You can give each possible answer a score and, depending on the final score, a personalized message appears that correlates with each student’s condition, situation, etc. While children strive for extrinsic motivation, such as grades or prizes, adults are more inspired by self-achievement, curiosity, and increased self-esteem. Support these. I question the whole badging system for rewarding learners when they complete a lesson, exercise, or course because adults prefer to feel satisfied than to get a shiny object. However, everyone loves to be acknowledged so I believe it’s a matter of balance. Sending a congratulatory message might just be enough for an adult learner. Or using them as an example in your current course emails or discussion postings would make them feel special. Adults are more motivated by pursuing intrinsic rewards rather than external rewards, such as a prize or golden star. They’re more satisfied with having a sense of producing meaningful work, being progressive, having a choice, and being competent. While extrinsic rewards might feel nice, they don’t motivate adult learners as effectively. ADULT LEARNER TIP #5: Give meaningful rewards. Determine the most motivating factors your students will connect with and add that to the language you use in your course (e.g., In a business course, completing a quarterly forecast might feel liberating and informative for learners.). Ensure to acknowledge each and every student and their work, or at least send out general congratulatory messages. Watch how your students are celebrating their achievements to determine motivational strategies for future courses. The image above shows different ways students can access additional support. They can book a live call with their instructor/coach, select targeted tools to help them achieve their goals, or tn read the life stories of other people to relate to their journey. Adults constantly need to know why they are learning something, implying they need to help choose what is taught. Spell out why each instruction, exercise, and resource is important to learn and apply. This may seem onerous, but it only takes one or two lines to explain the relevance. Outline the steps for achieving the promised goals of the course, so adult learners are aware of their importance in the learning process and application of the strategies to their situation. Provide space for adult learners to amend the exercises or how they respond so that it’s relevant to their context. This takes a lot of stress off of the course to be everything to everyone. ADULT LEARNER TIP #6: Spell it out. Explain, explain, and explain why something is relevant to the work students are doing. Don’t assume they will make the connection as they are newbies in the topic area, thus the reason they’re taking your course. Each step in your learning path needs to be relevant to the adult learner, therefore indicate when steps are optional. Set the tone from the beginning that their work in the course will be subjective and relevant to their context and situation, and that’s a good thing. There are no black and white answers. This post may make adult learners seem like ferocious monsters who are highly demanding, but they’re not. 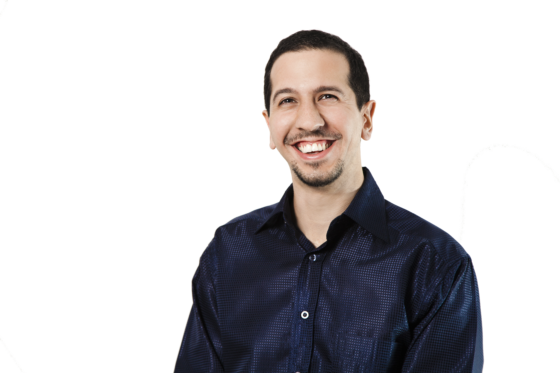 They’re people who are interested in developing themselves further through education and experience. They truly want to take your course and learn from you! Put yourself in their shoes as an adult who takes a course. Walk in their shoes to understand what they need. You’ve taken courses, too, so recall what worked and didn’t work for you. Let go of what YOU expect of your students. Provide an array of lessons, examples, and customizable worksheets. Allow your learners to produce work in their own style, specific to their context and situation. Adults cherish such freedom in learning. Your turn: As an adult learner, what are your needs that you wish more online courses addressed? Can you define which of the principles apply? Unlock the Opportunity in Your Expertise! Dr. Kelly Edmonds is a professional educator and e-learning specialist who designs e-programs and e-courses for clients globally. She works with a range of clients from national airlines to solopreneurs. Download her e-course starter kit to get your course right the first time. Her course designs and blueprints are popular and offer solid, resourceful and refreshing learning experiences. Take A Peek Inside The Course Builder’s Laboratory! You will get lots of design tips from this dynamic, interactive e-course! Find an online course topic that people will pay you to teach!